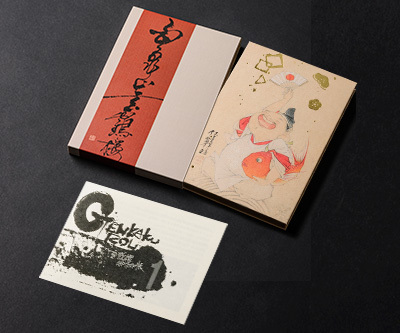 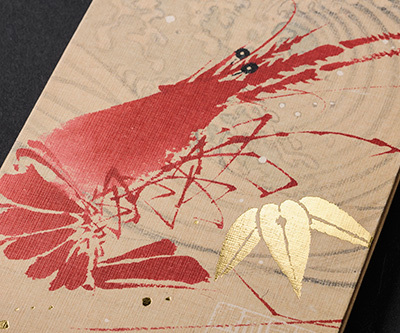 This‘ Genkakurou Goshuincho’ stamp book (a collection of temple and shrine calligraphy motifs) is an original brand work from Kyoto’s Genkakurou workshop, a studio which has been creating new product styles founded on Japan’s traditional Buddhist culture. 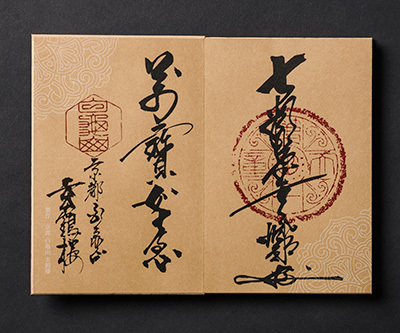 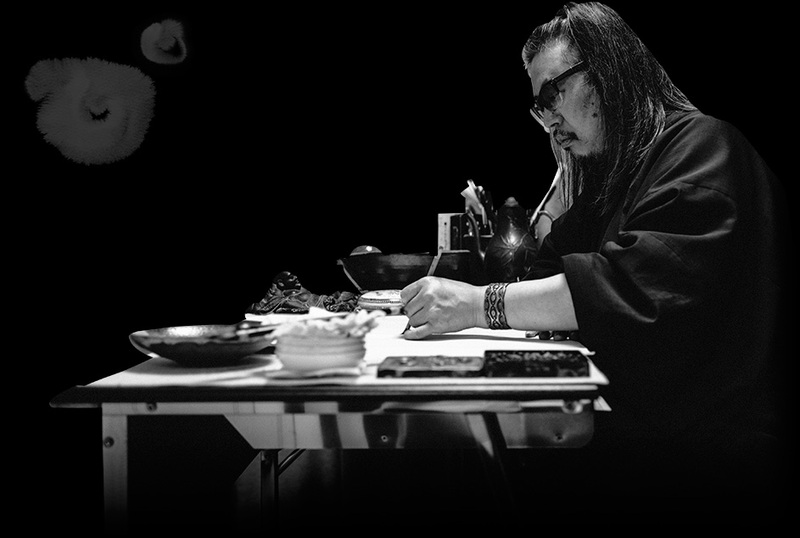 The workshop’s Daoist and Buddhist painter Tenkei Shichiruido, explains the thinking -“It is my wish that people can have a private and special goshuincho stamp book to help them make a more fulfilled journey through life and bring to their soul the inner peace and order of the Shinto gods and the Buddha”. 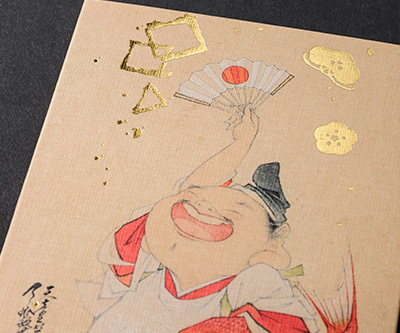 In respect of this wish, the work is specially distributed within the Kyoto area only and as a limited edition of 500 copies. 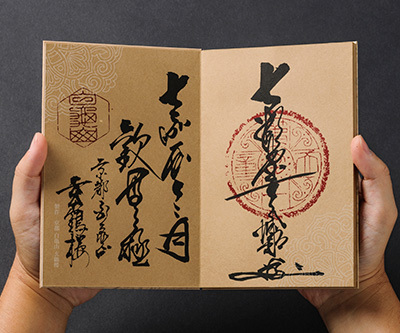 Each goshuincho edition bears the signature of the artist and a word of good fortune in prayer, written in black ink by Tenkei Shichiruido. 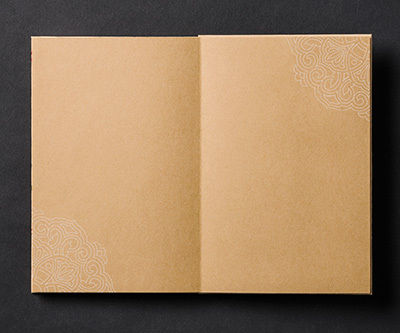 The opening spread of pages features a phrase from the ‘Nio-hannya-kyo’ (The Sutra of Prajnaparamita / “Perfection of Wisdom”), an eternal truth for bringing comfort and peace both in this life and in the next. 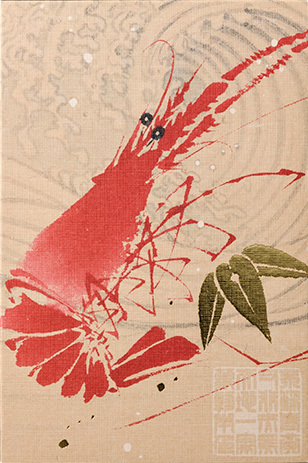 It is hoped that this book will always be at its owner’s side and much treasured in daily life. 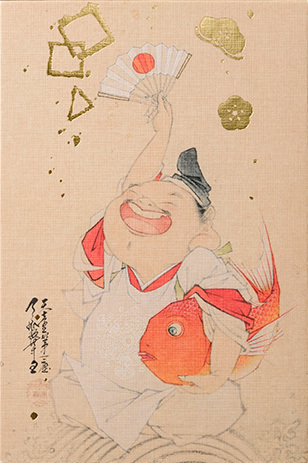 Copyright 2014 SenshinKogei co.,Ltd, All rights Reserved.